March 2019 editorial on tht 2018 Engine Masters Challange. John McGann's editorial really pissed me off. He starts off by stating that he was not familiar with this engine and had to research the Ford Y Block. He calls it a big lump of iron that couldn't have gone much bigger than 312 cubic inches. He states that it's a marvel that Ted Eaton and Joe Craine were able to make 537.hp and 566 hp with the engines that they brought to the competition.He also makes an issue that they had head gasket failures. At this level, a blown head gasket is not a major failure in my opinion, He states that very few people would ever put a Y block in a serious race car. He should vist this website and read a few Y Block Magazines. He said no one ever puts them in anything that didn't come from the factory with one. How about Falcons, Mustangs, Model A's and god knows what else they are in. 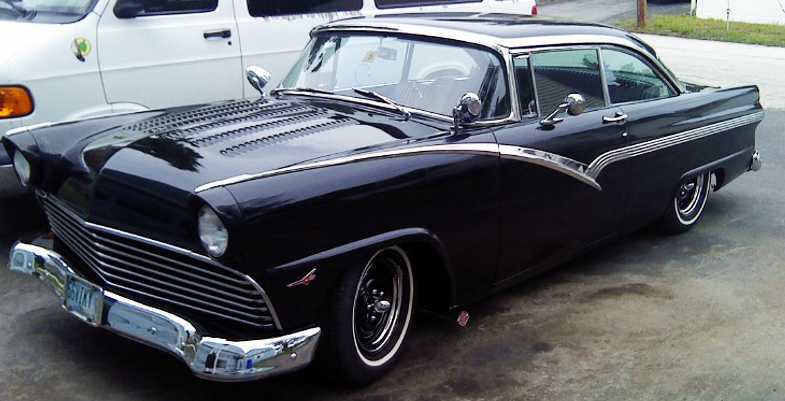 He asks how many '56 T Bird owners would want a 500 horse Y Block and states not many in his opinion. He does admit that Ted or Joe could build them one if they wanted one. This clown doesn't have a clue. Been a Hot Rod subscriber for years but you can bet I will give them an ear full when I renew my subscription. 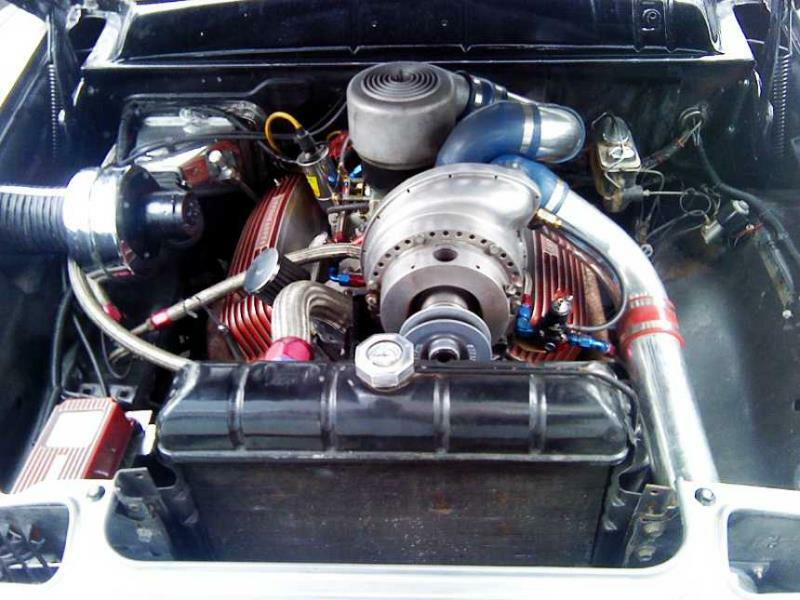 The engine that I built for my T Bird a few years back was a copy of a 427 hp 322 CI Y Block that Ted built and did an article in Y Block Magazine several years ago. Runs good and streetable with the factory E dual quads. Still tuning it and haven't got all there is out of it yet but it doesn't have enough miles on it to be broken in yet. Ted and the others out there building Y blocks seem to keep busy building engines. The set up in my Bird, when I get it properly dialed in, would have blown the doors off of 90-95% of the Mussle cars on the road in 1965-70 when I was racing my Bird on the street and strip. Am I the only one not happy with Hot Rod Magazine? I read that editorial and simply took it with a grain of salt. Misprints galore but I’ve come to expect that with many of the magazines and internet articles. Joe’s engine was tickling the 600 HP number here at the shop and mine was well in excess of that. We were both blind sided with the crappy fuel that was supplied and that was a valuable learning lesson for both of us. John Kaase’s engine was in the same boat as it was way down on power also. No head gaskets on his engine so it at least his engine didn’t eat itself up. In the distant past, fuel samples were sent to the contestants so that the engines could be tested with the actual fuel being used. Not this last year though and the actual fuel being used was not announced until a month before the competition. Sonoco fuel is not available in my part of the country so I couldn’t have got any within a reasonable time frame in which to test with. Shipping costs for 5 gallon pails of fuel is expensive to say the least. I’m with Joe in that if being allowed unlimited compression ratio, then the supplied fuel for the competition should have handled that. Sadly, even with the recent documented history of the Y-Block and its real capabilities some authors just cannot break away from the age old stories and slams. With all the information published and present for examination we have to focus on blown head gaskets WITHOUT the explanation why. Your engines, even while acting like a steam engine, put up some impressive numbers. Why is that not impressive to these scrub'ers? I can't ever remember seeing a scrub motor make any performance with a blown head gasket. It seems the new folks want to put a stop to this outlandish performance by our favorite engine and give all the bells and whistles to the computer run factory motors. After all these years and all the proof we still cannot break the barrier with the hot rod cartels. I am just glad that at this stage I got to be along for the ride and saw for myself what these old iron, too often maligned old motors would do. He's clearly ignorant and the minimum he could have done for research is look at the past Engine Masters competitions to see that it is no marvel. It's simply what they're capable of. They have typically been at or near the top in the vintage class. If I'm remembering correctly, I think all but the first of Ted's (iron head and limited ci) were above the 537 hp mark. Including Joe and Mummert (and numerous builds not for engine masters), that's looking like a pattern, not anything surprising at this point. What I get of the tone of the article is that he simply didn't want to do it. I don't think it would have been good no matter how he chose to address it. Pretty much everything he said could be said about any of the vintage entries. "Taxing the architecture," how many people would want xyzHP from any of them, who would put any in a serious race car. What Chuck said about the numbers, even with the blown gasket should have been noteworthy. On 6 cylinders, it was still respectable and finished the competition.